Do you like concrete? Beards? Tom Hardy? How about the M6 southbound toward London? If the answer to all or even one of these is “yes” then you may want to make some time, approximately 85 minutes, to take in Locke, the new film from Stephen Knight. Knight’s past form is patchy. In the plus column are projects like Eastern Promises – written by Knight and directed by David Cronenberg. In the minus column however is last year’s Hummingbird, his first feature directorial effort; a Jason Statham vehicle that proved moribund even by those inauspicious standards. Locke is an intriguing prospect, albeit one which from the outset provokes curiosity for it’s high-concept more than anything else. Tom Hardy plays Ivan Locke, a Welsh construction manager who, on the eve of a landmark project, decides to abandoned the building site for a drive south to London. The film covers that night drive only. For all intents and purposes it’s a one-man show in one setting. There’s no escaping Tom Hardy, his BMW and the streaking lights that pock the darkness out of the windows. Why has he made such a bold move, one that threatens both the success of the multi-million dollar development and his own familial security? A series of (hands free) phone calls will tease out the details for us, leaving the man to make some crucial decisions and work some integral damage repair from behind the wheel. All while keeping his eyes on the road. Locke has the potential to feel like a prison, unnaturally confined in its own curious automotive straight jacket. Other attempts at such severe constraints have met with mixed success – Phone Booth, Buried, In Fear – but fortunately Locke thrives thanks to a deftly written screenplay and a knock-out central turn from Hardy. Ivan Locke considers himself a decent man, suffering the implications of one significant mistake. Over him hang the long shadows of his own personal history – there are some serious daddy issues here. Locke’s brow is furrowed by his own earnest hopes not to walk in his father’s footsteps. Whether that has provoked him to make the right choices remains to be seen. When not playing out over the aforementioned phone calls, the film delves into monologue as Locke stirs his demons with soliloquies delivered to the unseen ghost of his father in the backseat. All of which means a lot of dialogue for Hardy to chew over. Initially that Welsh accent seems jarring – we’re not used to it; is it necessary? – but it’s surprising how quickly this affectation is forgotten. Hardy sells Locke – and Locke – very quickly. In turn the unraveling story is surprisingly involving. The film draws you into its world, and soon you’ll find yourself discovering the intricacies of pouring concrete for building foundations – a wonderfully convincing bureaucracy of road closures and consistency tests. Locke excels the most when revealing these details to us, recalling most favourably the way in which season 2 of The Wire illuminated the lives of dock workers. It’s hugely satisfying to have a film’s spotlight fall on something so conspicuously bereft of glamour and yet succeed at making it so riveting. Less successful in comparison are the family phone calls, which construct a dilemma familiar from countless serials or soap operas. Yet Locke’s personal problems add dimension to his personal investment in solving the ongoing issues at the site; even as he leaves his job to almost-certain unemployment, his devotion to ensuring his work has not been for nothing underlines not only the man’s moral code but how, when everything is collapsing, you fix what you can. While the bulk of the credit for Locke‘s success goes to Hardy’s nuanced, sympathetic performance and Knight’s finely detailed screenplay, it’s worth noting that Knight doesn’t drop the ball when it comes to presentation. The film makes use of the confined space within the car, sure, but there’re also countless sustained cross-fades in which you’re looking at combined interior and exterior shots. 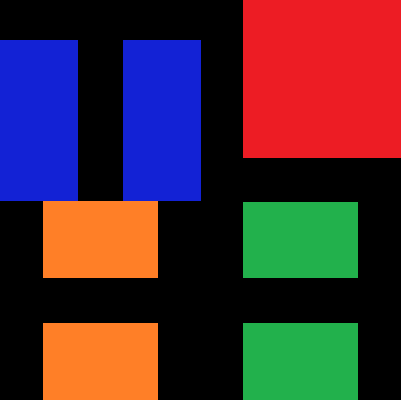 This allows the film to keep up a remarkable momentum. Locke might quite easily have seemed to be going nowhere, yet the hypnotic sensation of a lamp-lit commute is deftly sustained in a continual stream of blurred out tail lights. 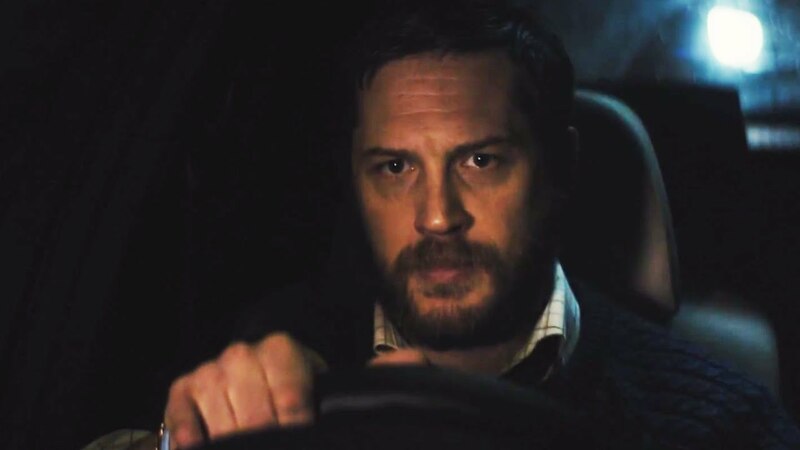 Such successes are great to report – I don’t think I’ve seen Hardy better, and really it’s a shame that Locke arrives just after awards season – but the film is still subject to the confines of its own proportionate ambition. Because of this it’s very difficult to think of it as a great film, merely a very proficient one. For all the slick presentation there is very little here that couldn’t have been accomplished in a radio play, for example, and as natural as the plot progressions are, there are very few surprises on offer. Locke moves along gracefully with a steady stream of traffic. Out the windows of the BMW we see other cars en route to who knows where. What other dramas are taking place via bluetooth? First and foremost Locke is an actor’s dream come true, and Hardy has made everything of it that he can. For the audience, however, this is a pleasingly absorbing drama that is well-worth taking the time for, but one which will leave little of itself behind and which leaves very little incentive for repeated journeys. Previous Up ‘n’ Under – a new wave of cinematic sci-fi?